A slice of life anime that tugs at the heart strings. The feeling I get from this anime seems to be a independent middle-school girl filling in the role of her parents as the Ooya-san (landlady). Besides thoughts of calling child services, it is mainly to illustrate a responsible and mature (for her age) Chie living day to day with her two tenants. A nice 4-koma anime. 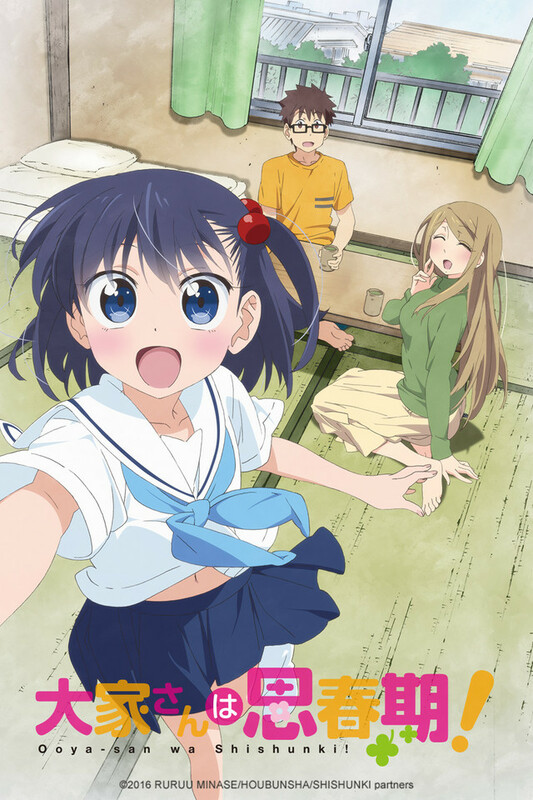 A pleasant microanime with "cute" as its primary mood. It never really gets funnier than "bemusing" so if you're looking for outright hilarity I'd suggest checking elsewhere (maybe Teekyu? ), but despite as slow a start as anime with only 2 minute episodes can have, it's very enjoyable overall, almost relaxing even. The main character is adorable and her antics will put a grin on your face. It's also quite well-animated for such a small show. worth the watch, but don't expect ghost in the shell depth! this review is written after watching 12 episodes. I don't expect much character development in a short anime. the characters are likable the stories line covered in an episode and it was amusing... that is about what you can ask for . I still don't understand why the intro has to be so long for a short anime, but whom am I to point out the obvious! while this isn't a classic, it is worth the time committed to watch it!